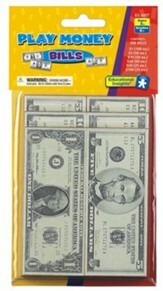 Practice money skills with this set of 100 play "$1.00 bills." Paper bills are a pale mint green and have a semi-realistic design. 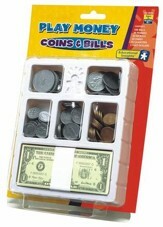 Perfect for math manipulatives or playtime fun! 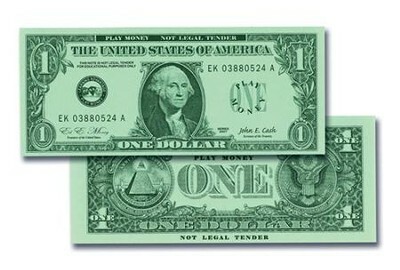 I'm the author/artist and I want to review $1 Bills Set of 100.